I met my friend Peggy Parks in 1978 when she was a presenter at our Idaho Press Women conference in Challis. We convinced her to join the organization and she has been a key member ever since. She helped organize three national conferences — two as part of the “Fearsome Foursome” team who lead the NFPW conferences in Idaho Falls and Salt Lake City. She is an awesome woman and community volunteer. 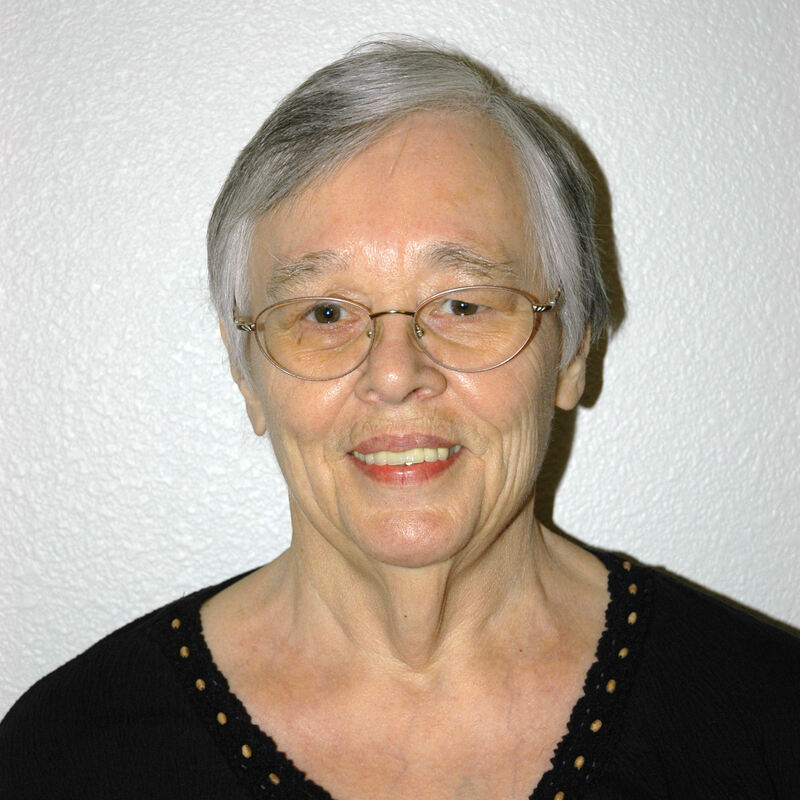 All her efforts supporting NFPW and her community earned her the designation as first runner-up to the 2007 Communicator of Achievement when Peggyann Hutchinson was honored as COA. It is an honor to recognize this unique and unbelievable NFPW member, Peggy Parks. Media Network Idaho (formerly Idaho Press Women). I served as president for two years in the early 90’s and as treasurer since then. I was also involved in planning the NFPW conference in Coeur d’ Alene in 1989, the one in Idaho Falls in 2008 and the Salt Lake City conference in 2013. Idaho Press Women held a fall meeting in Challis in 1978 and my husband and I were asked to present a workshop on running a small town newspaper. We were so impressed with the women we met there, we both joined. In a couple of paragraphs, tell us a little about you. I was owner, publisher and editor of the Challis Messenger newspaper for 32 years. Before that I worked in biomedical research for 11 years. Since selling the newspaper and retiring 10 years ago, I have remained active in Media Network Idaho. Locally, I have been active in the North Custer Historical Society and Challis Senior Citizens, serving as treasurer for both organizations. I am also a volunteer Medicare counselor. Since retiring and having had four joint replacement surgeries, I have taken advantage of having more free time and increased mobility to do a lot of travelling. In the past couple of years I’ve been able to take several NFPW pre or post conference tours, have been to Australia, New Zealand, Fiji, South American, the British Isles twice, Greece and Turkey. After Alaska this fall, I have scheduled a tour of five different countries in the Alpine region of Europe, followed next spring with a cruise along the Iberian coast to Morocco. I hope to continue to travel as long as my health allows. 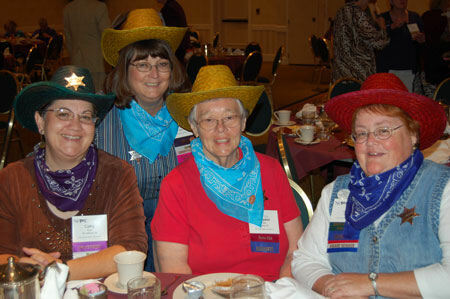 Peggy Parks, front and center, as part of the Fearsome Foursome team inviting NFPW delegates to Idaho Falls in 2007. From left, Cathy Koon, Teri Ehresman, Parks and Kitty Fleischman. I wish I had more musical and artistic talent. I love Idaho and living in Challis, but eventually would prefer to live somewhere a little larger and closer to family. I love to travel, so somewhere with an airport nearby would be nice. Nothing to Lose by Lee Child. Next on my list is The Source by James Mitchner. I read it years ago and loved it, so I’m going to read it again. The last thing I ever thought I would do in my life is run a newspaper. The only things I had ever written before my husband and I bought the paper in 1972 were scientific papers. I still didn’t do much writing until I took over the paper by myself in 1983, then was forced into it when my only reporter quit in the middle of a busy week without writing a single story. I don’t do much writing now except occasional press releases for the organizations I belong to. 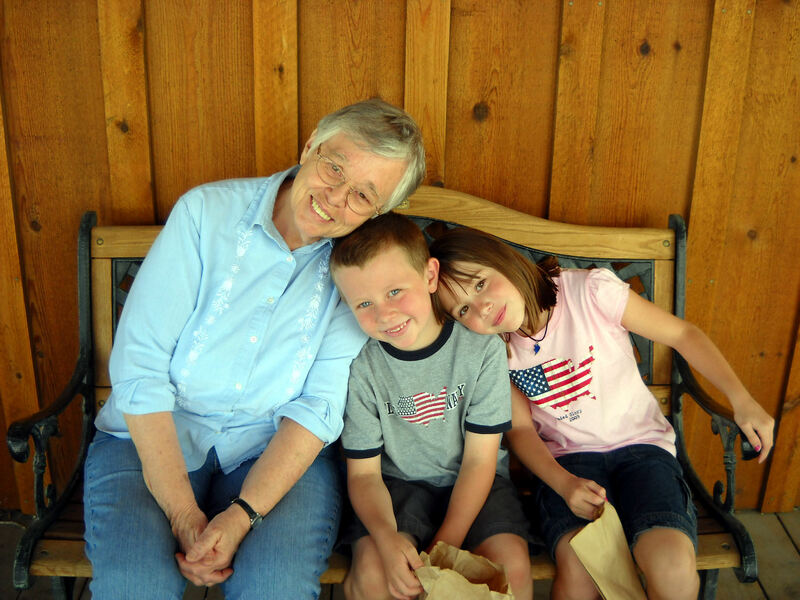 Peggy Parks with her grandchildren Thomas and Maggie in this 2009 photo. I treasure the friends I have made in the organization and the opportunity it provides to mingle with people outside of my usual circle of friends. This entry was posted on April 21, 2015 at 2:52 PM and is filed under NFPW. You can subscribe via RSS 2.0 feed to this post's comments.